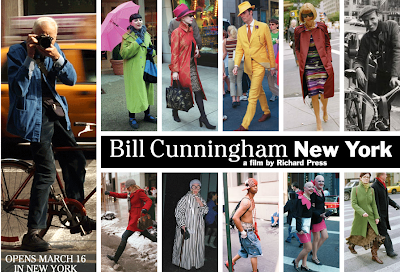 Bill Cunningham can only be described as the true originator of fashion documentation. His work is an endless source of inspiration for so many dedicated fashion bloggers. Relentlessly cycling the streets of New York City, he has been documenting the absolute finest and most unique the Big Apple has to offer for decades. With London fashion week drawing to a close, my fashion fire must continue to be stoked! So, I secured tickets for the opening night of the new documentary film by Richard Press detailing his legendary life so far. 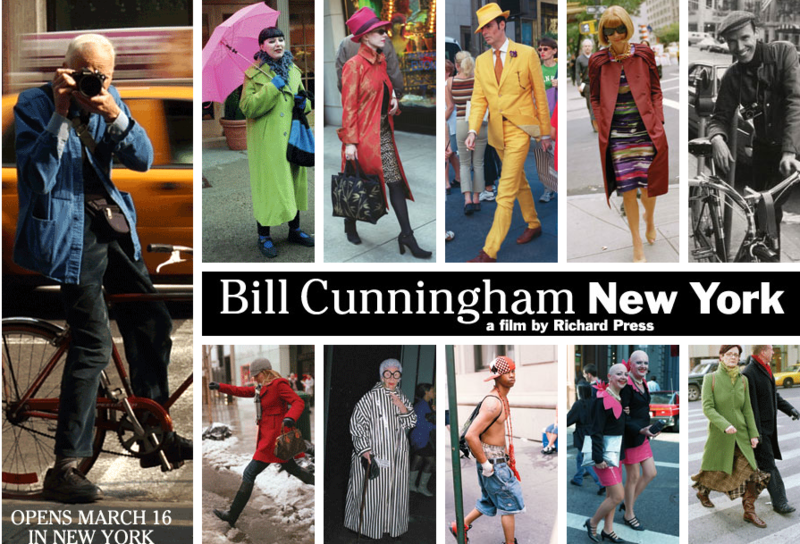 It opens on March 16th at the Film Forum in new York City. It is going to be a few hours of calm during a busy trip across the Atlantic for myself, where I can't wait to walk you through a few of my favorite streets in New York, and, where we will also have a look at some of the finest make up stores and products to be had in the USA. i CANNOT wait to see this movie when it debuts in Berkeley!